Believe it or not, spring is just a little more than a month away. Even if you’re still feeling the chill of winter where you live, pretty soon that snow will thaw and your home’s exterior will need a little TLC after all that cold weather. Get your curb appeal back to fab just in time for spring with these simple home improvement ideas. It’s recommended that you clean your rain gutters at least twice a year (and more, if you have a lot of trees), as leaves and debris can clog them and make trouble for your home’s interior and exterior, such as a leaky roof or water damage. You can have a professional clean them out, or do it yourself but you have to be careful. Before you get on a ladder, make sure you are placing it on a level, sturdy surface (not soft soil or cracked cement), and be careful to rest the top of the ladder against the house siding and not the gutters themselves, as they may collapse under the ladder’s weight. You’ll need a dust mask, gloves, safety goggles, and a hand trowel to scoop out the debris. Once the gutters are clear of debris, rinse them out using a hose aimed downspout. Get rid of unsightly mold and mildew stains lingering from the cold winter weather with a good power wash. Power washing your home, or hiring someone to do it for you, involves a high-pressure stream of water that will effectively clean the filth and grime from your home’s exterior. Not only does it freshen up the appearance of your home, but it also removes allergens, plus it is the most effective and time-saving method of cleaning the outside of your home. If you are planning to do the job yourself, just be sure to first read the documentation that came with the power washer in order to avoid injury and damage to your home. Especially after a rough winter, with heavy snowdrifts and driving rain, your roof may have taken a beating. Checking for and repairing leaks now, when the weather is just starting to get warmer, is the best time to ensure that a small problem (like a leak) doesn’t turn into a huge catastrophe. Take a look at your roof from the ground and see if you spot any broken, buckling, curling, or missing shingles; using binoculars may help. 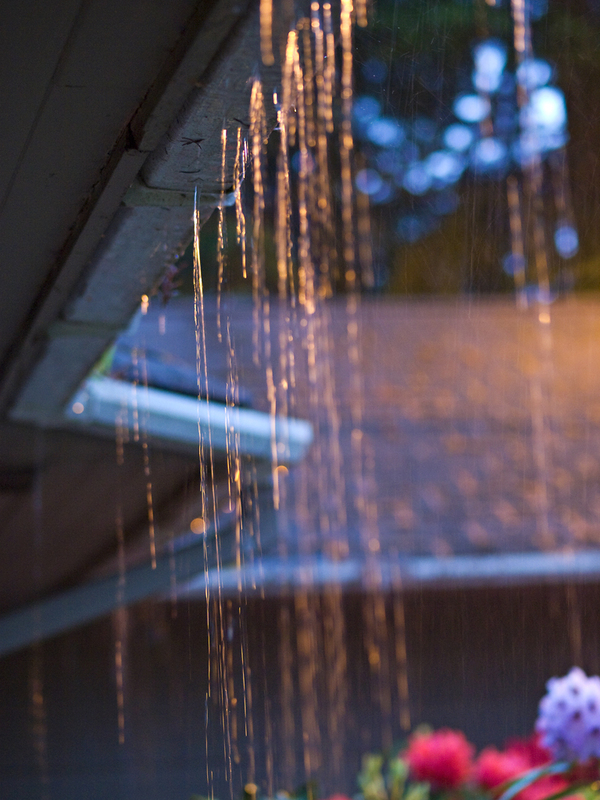 Check the ceilings on the highest level of your home for signs of water damage. Dark or discolored stains, damp spots around the fireplace, peeling paint under roof overhangs: all are signs of a potential roof leak. 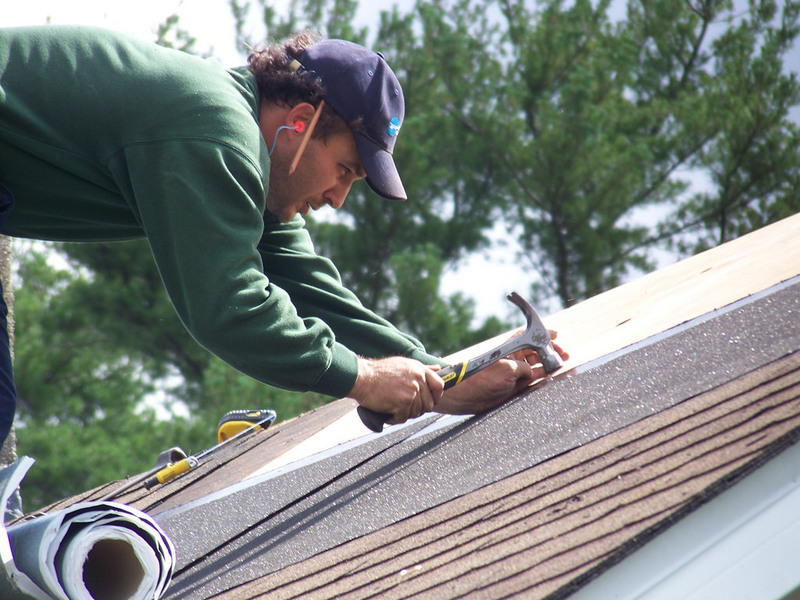 Get a professional to properly inspect your roof and make any necessary repairs. 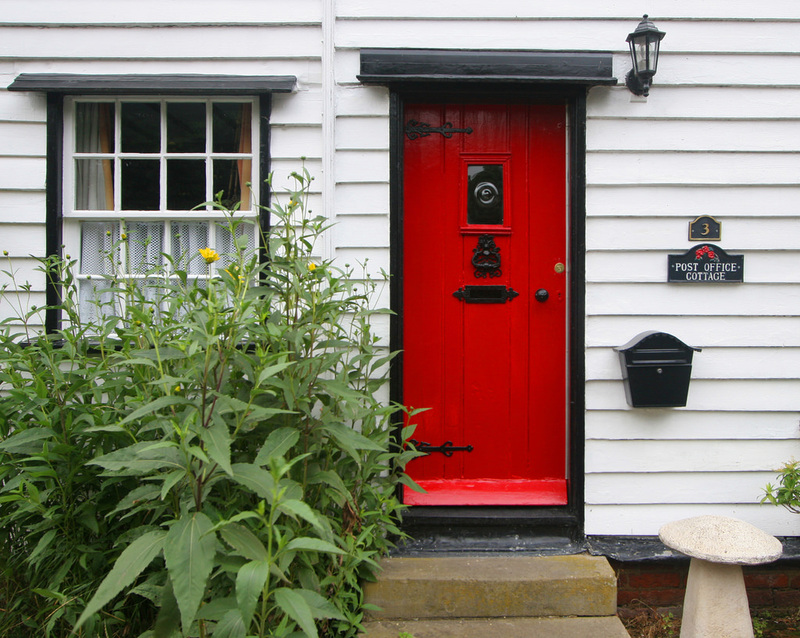 Freshening up your trim and front door with a fresh coat of paint is like an instant facelift for your home. And since an exterior paint job lasts roughly 10 years, it’s a great way to give your house a boost even if you don’t want to commit to an entire exterior paint job at this time. 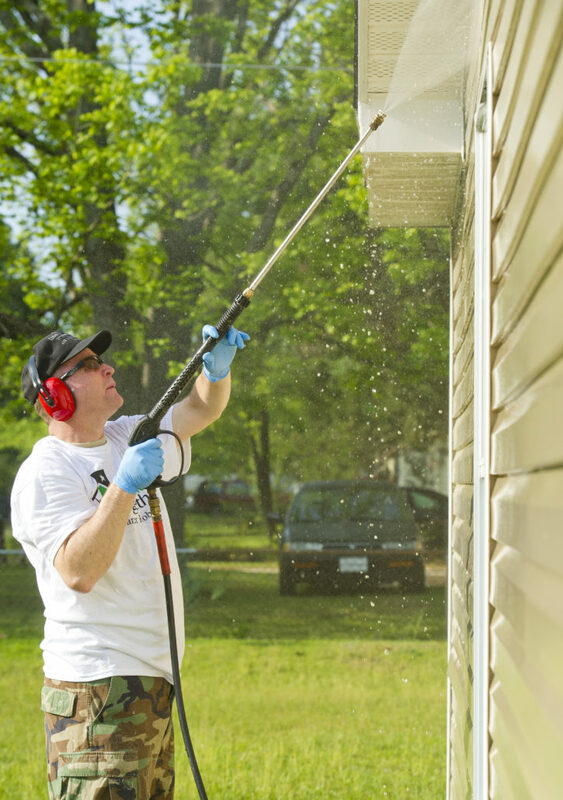 It’s a good idea to pressure wash the areas you will be painting first, allowing them to dry before going to the next step, which is to caulk any gaps between the trim and doors or windows. Now you’re ready to prime and paint! But, which color to choose? If you want to change it up and go with a different color than the original, a good rule of thumb is to find a color that has the same undertones as your house color. 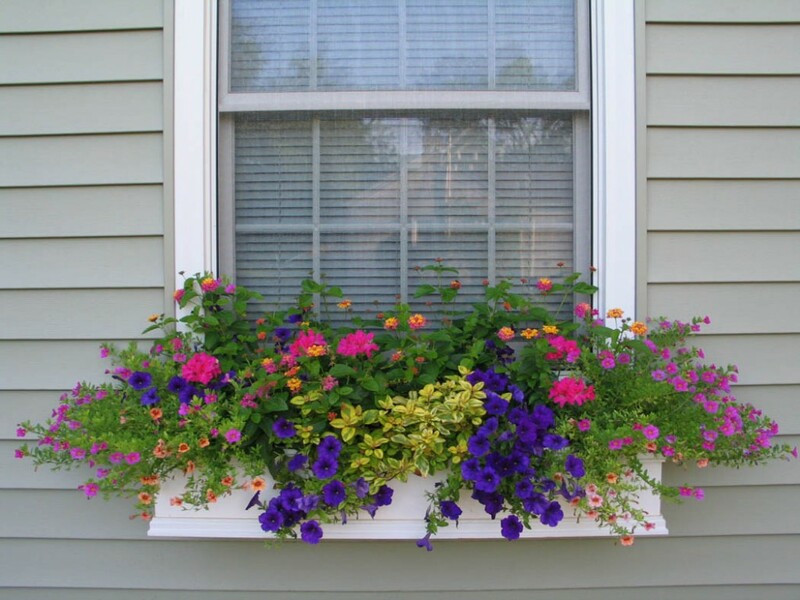 Cracked or otherwise damaged window boxes can be an eyesore. Once the cold weather subsides, check your window boxes for damage or excess moisture. Consider replacing them with durable fiberglass window boxes, available in a variety of finishes (including those that look like natural wood). These window boxes can withstand even the toughest weather conditions, including frost and excessive heat, without damage—meaning they will last for years and stay looking beautiful! Spring means running around with the kids in the yard and patio barbeques with neighbors and friends. 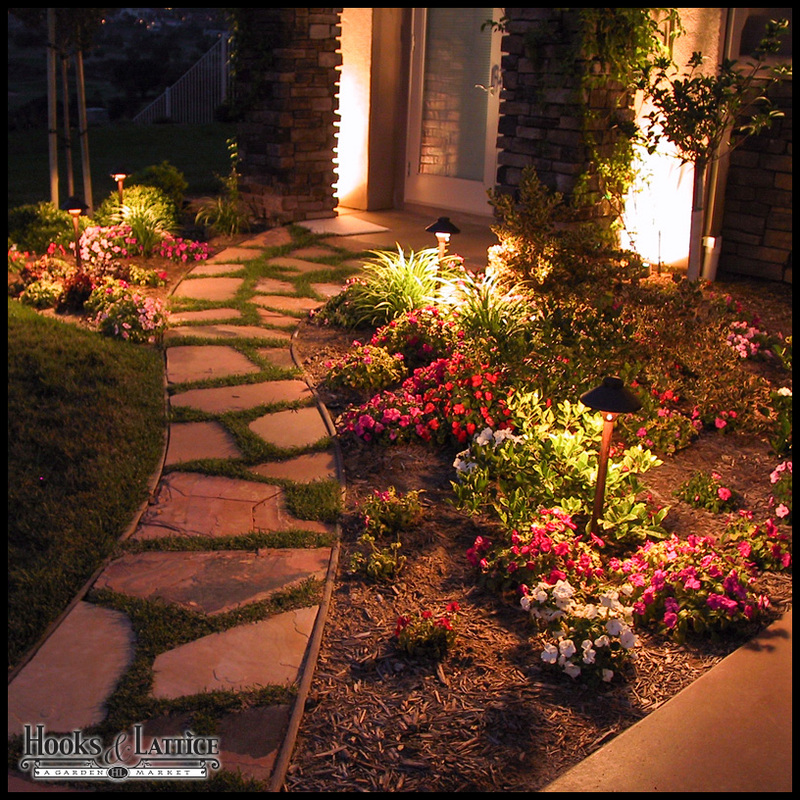 Get ready now for the warmer months by adding landscape lighting to your front walkway, backyard, patio, or garden. At Hooks and Lattice, we have several lighting styles, and lighting kits, to choose from, all of which can be used to navigate safely with the added visibility, and increase your home’s security by discouraging break-ins. It will also help you create a warm, inviting mood for your family and guests. Line walkways, create an intimate outdoor nook, and highlight your favorite plants with this warm lighting. LED bulbs make our lighting options both long lasting and energy efficient. Need Help with Your Spring Clean-Up? If you have questions about any of our curb appeal solutions—including window boxes, outdoor planters, and exterior shutters—we’d love to answer them! Call us at 1-800-896-0978. Photo credits (top to bottom): Michael B., Air National Guard, Elisha Pospisil, Brian Snelson, Hooks & Lattice (two photos). Blog featured image courtesy of Binyamin Mellish.